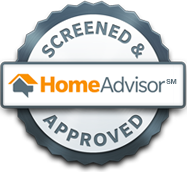 Call or e-mail for a free at home consultation and written quote for your home. Serving most of the Suburban Chicagoland Area, including parts of N.W. Indiana. Check us out on these sites! Gutter Solutions of Chicagoland will only collect personally identifiable data, such as your name, address, telephone number, or e-mail address, when it is voluntarily submitted to us at this website. This information will be collected through an online form or when you contact Gutter Solutions regarding any other matter. No information collected here will be used by Gutter Solutions to contact you or use in any other way. No other third parties, either on our behalf or for themselves, will collect any Personally Identified Information through this website. Copyright 1998-2019/ Gutter Solutions of Chicagoland / All rights reserved.